Time I thought, to have a closer look at that staple trail snack of many a hiker- the Snickers bar. I grew up with this confectionery when it was named Marathon, now that dates me! But I was surprised to find just how much variety there had been in these over the years. Marathon bars had been sold in the UK since the 1930s and I was as outraged as everyone else when the makers Mars announced a name change in 1990 to bring all of their worldwide products under global rather than local identities. I was unaware of the overseas heritage and long-lived name and, frankly, didn’t care much. 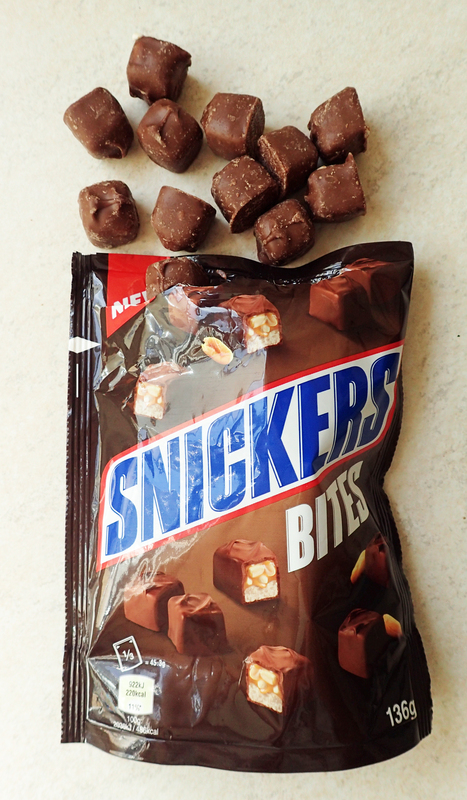 Named after the Mars’ family’s favourite horse, the original Snickers was introduced to a welcoming public in 1930. For some eighteen months, bars carried both names; ‘Marathon, internationally known as Snickers‘, before changing to simply ‘Snickers’. Obviously I couldn’t really care less about the name change today, plus ça change. 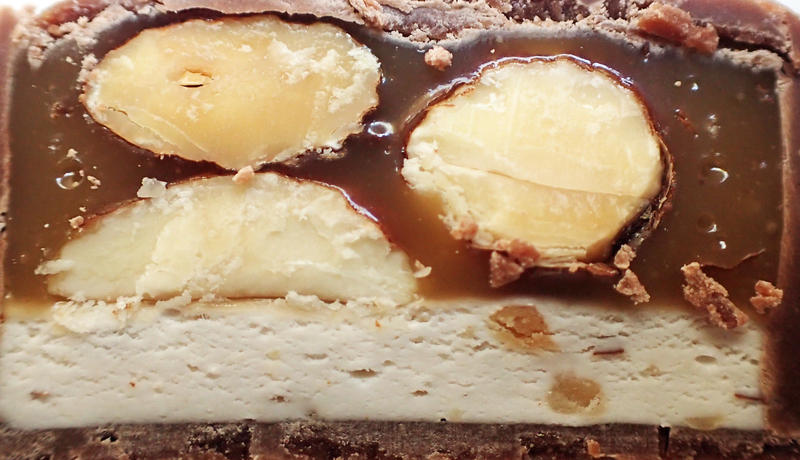 Most people, and certainly, most hikers, will be pretty familiar with Snickers bars. They are peanut butter nougat with caramel, topped with roasted peanuts and covered with milk chocolate. Those in the UK are marketed as being free from artificial colour, flavour and preservatives. They are also marketed as being suitable for vegetarians. The manufacturer, Mars, Inc., is one of the largest food and confectionery businesses in the World. 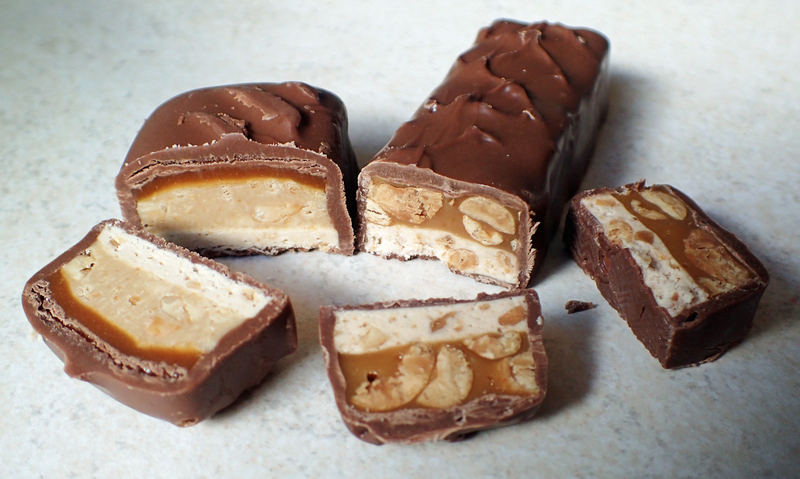 Despite much tinkering with the ingredients, more so in recent years, (even to the entire replacement of peanuts in some variants), Snickers are mostly associated to the milk chocolate covered peanuts, complete with nougat and caramel. So linked is the brand to peanuts, that the Snickers brand accompanied Munch Peanut Brittle on the packaging from their initial release in 1971, off and on, until the 1990s. I have illustrated below a few of the short lived varieties that have appeared on the shelves over the years. Some were no doubt re-branded subsequently, or vanished to the great confectionery shop in the sky. There are a few that I have never personally encountered. 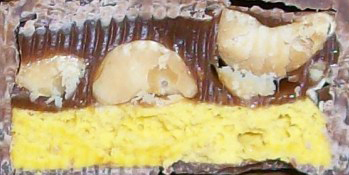 The Snickers Cruncher bar, released in 2000, containing crisped rice as well as the usual peanuts, caramel and milk chocolate was one that never made it to UK shores. Snickers Crisper. Crisped rice, peanuts topped with caramel, coated in milk chocolate. 200cal. You may have noticed from the images how the bars appear to have got smaller over the years. In the UK in 2008/9, manufacturer Mars reduced the size of both their Mars and Snickers bars by 7.2% from 62.5g to 58g (prices remained the same!) and bars then carried 280 calories. In 2013, the size of a single Snickers bar was further reduced to 48g. At the time, this was put down to the manufacturer’s commitment to reducing the calorie content of single service products to less than 250 calories by the end of 2013, a so-called- calorie reduction Responsibility Pledge. Though size does depend on how you buy them. The one I pulled from a multi-pack today only weighs 41.7g. Snickers also have a habit of making their Limited Edition products in a slightly smaller size. However a bar purchased singly in 2016 still gives you 48g of loveliness. Though I do think we are being slightly conned here. It should be noted that none of the ingredients in a typical Snickers are of particularly high quality. Top quality ingredients simply wouldn’t be possible in the vast numbers of confectionery bars produced and consumed globally. However, all of the ingredients come together nicely and it is not surprising that Snickers have been national favourites for decades. There are many copy cat versions of Snickers available. I have tried many but none quite pass muster against the old favourite. Possibly the best amongst those shown on the left is the M&S version, the ‘nutty ONE’, that has a good balance of flavours and texture. Most of us will not have come across many of the varieties that have appeared across the years. Snickers Xtreme not only answered the calls of those turned off by nougat, but was also an exercise in packing as many peanuts into the bar as possible. 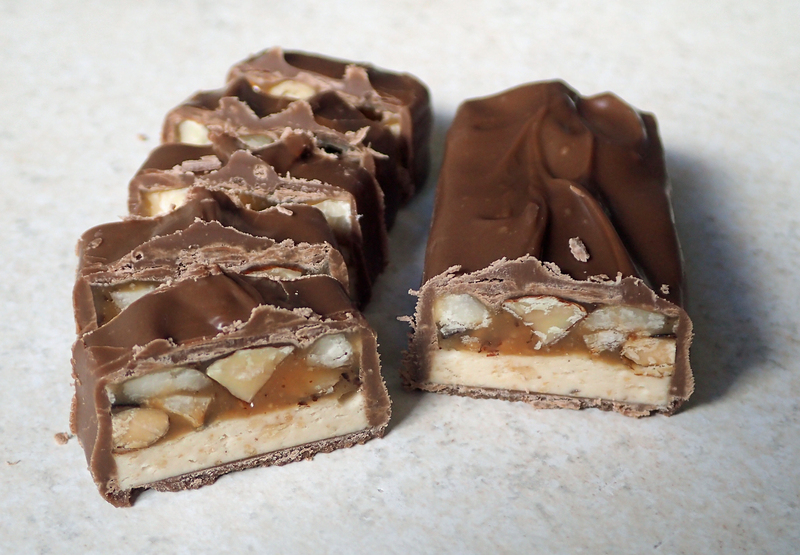 Originally released as a Snickers Xtreme All Nuts and Caramel version at Candy Expo in 2010 and a fore-runner of the ‘More Nuts’ Snickers bar that hit the UK in 2010. This chocolate bar surrounded an extra quantity of peanuts in the caramel, at the total loss of the nougat from the bar. By the way, the Snickers Xtreme was re-branded temporarily as Snickers XScream in time for Halloween 2015. I would argue that the Snickers Charged was even more extreme, if for a different reason. It contained 60mg Caffeine and 250mg Taurine in addition to the usual chocolate, peanuts, caramel and nougat. Enough there to wake you up in the morning and keep you going, however taurine and chocolate are uncomfortable bedfellows. There were 45g Snickers bars in the 1980s, and today you have a handful of the ‘fun’ size mini bars, most easily encountered in the mixed ‘Celebrations’ tubs. Often you can get seasonal and search out the Snickers Santa and Nutcracker that has occasionally been on offer, hang them from your snow laden tent why don’t you? For our U.S. friends there are also the pumpkin shaped, if normal flavoured, 31g Snickers Pumpkins. With all these mini-bars etc. 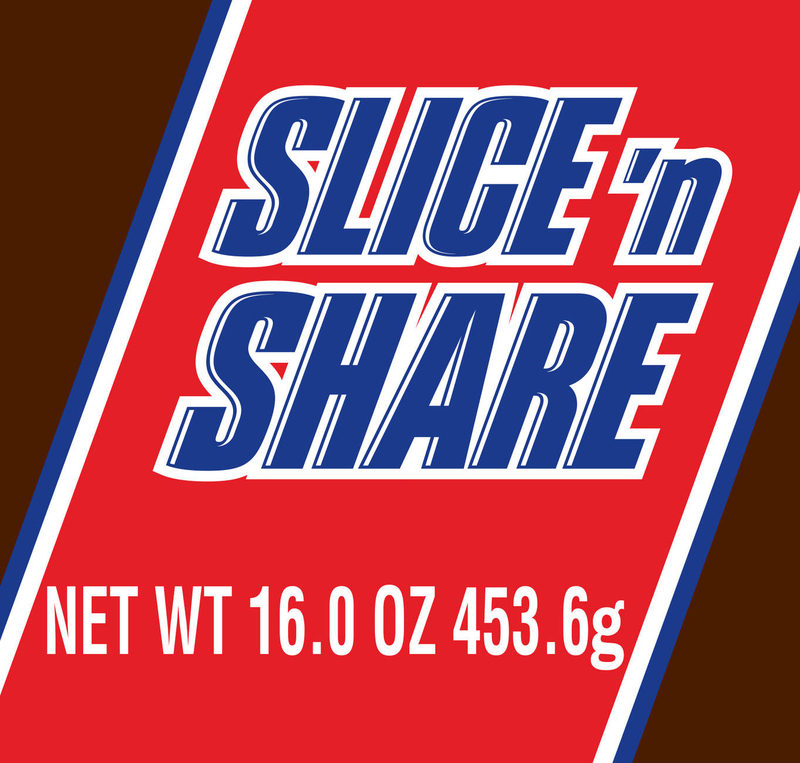 knocking around, for those concerned that they are not getting sufficient Snickers fix, how about the 454g Slice ‘n Share Snickers bar released in 2013. It was 25cm long and contained over 2000 calories. Enough there to keep you going on the trail for a few days. Perhaps best not to dwell too long on the Snickers Eggs as I am not quite sure that these really qualify as Snickers. 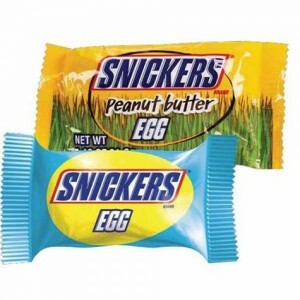 Though some of the Limited Edition Snickers listed below are as alien to the original product as these eggs are. The Duo bars are supposed to be an attempt to side track the former large bars that were slated by health groups. You are now supposed to share the bars, happily presenting the second bar to your nearest and dearest, yeah, right! Beside acting as trail snack, a Snickers bar is just the right tool to see you through a cold nights sleep. Eat one of these just before settling down for the night and it provides a good number of calories for the body to burn to keep you warm through the small hours. The Snickers Almond is an excellent product. To some extent I actually (whisper it) prefer it over a regular Snickers. Certainly it is just as good. The balance of flavours and texture is good. I would have to be told that this is an almond and not peanut Snickers before detecting a discernible difference, which probably says much more about my poor palate rather than anything else. Obviously there are some out there who have a general rather than specific nut allergy (Peanuts are a legume, not of the nut family). The number of varieties of Snickers that have appeared on the shelves is quite astonishing. Mars, the manufacturers, have struggled both to invigorate falling unit sales in a burgeoning sweet market. They have attempted to seek out the new ‘big winner’ in public attention and, ultimately, sales. Being a worldwide product, some varieties have been country specific. I would guess that virtually the same product has appeared in different countries under different names. In advance of the three ‘More…’ varieties released to the UK market in 2012-14, the market had been thoroughly explored elsewhere in Europe. Befitting a chocolate bar, a version with more ‘this, that and the other’ chocolate was released to an expectant American market in 2012. Together with the usual peanuts, there was chocolate flavoured nougat, chocolate caramel and covered with milk chocolate. 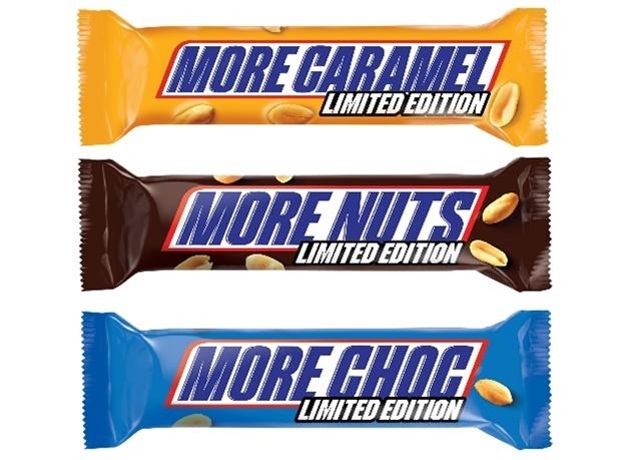 In the UK, a Limited Edition ‘More Nuts’ variety was launched in 2010, followed by a ‘More Caramel’ bar in 2013. A ‘Snickers Max Caramel’ version was also trialled in Germany in 2012. A ‘More Choc’ variety was added to the UK special editions in 2014 together with a £3 million advertising campaign. Yes, there is a lot of money in these confectioneries. 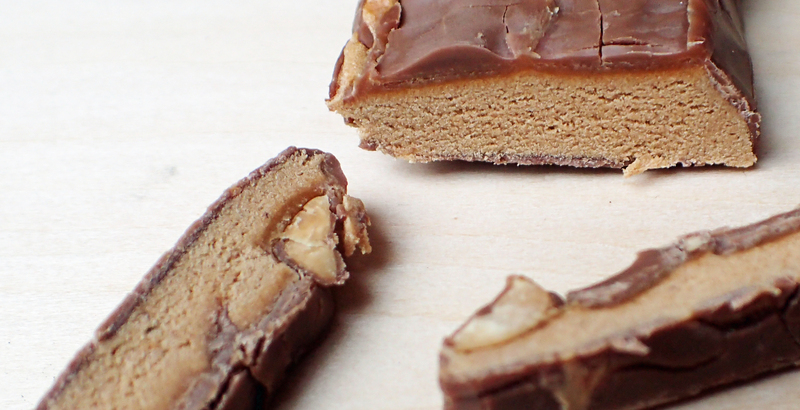 The Snickers Maximus is essentially the same product as the Snickers More Caramel that followed in its wake. 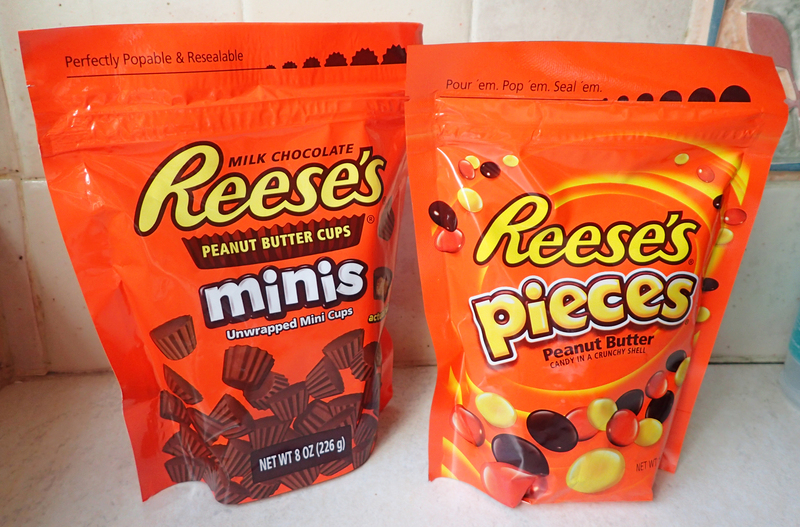 I would guess that both of these are also identical to the ‘Max Caramel’ Limited Edition too. Just how many names can you give the same product? Note that the 3 x chocolate bar shown above is a ‘2 to go’ variant. 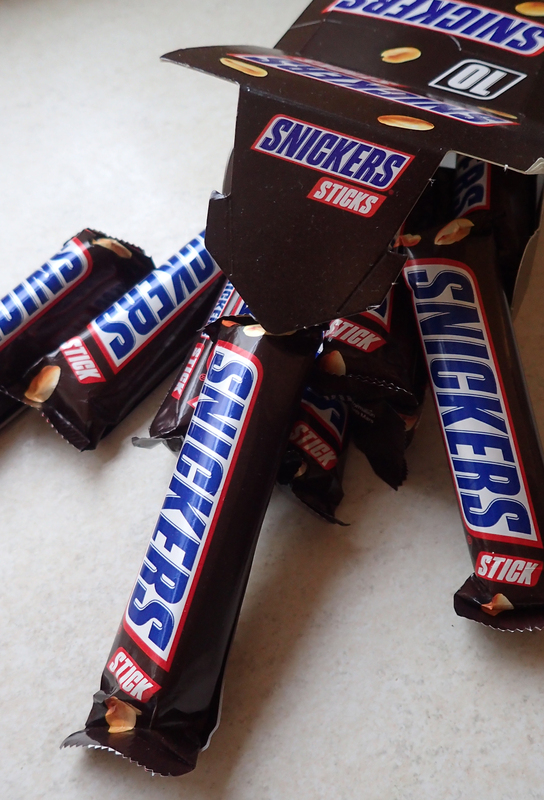 Mars released a number of their Snickers bars in this format in 2012- There were regular Snickers, Snickers 3 x chocolate, Snickers Almond and Snickers Peanut Butter, though the last actually came as a 4 to go’ as the bars were already produced as small squares. While given the moniker ‘Mixed Nuts’ this Snickers has an overwhelming taste of hazelnut. The mix of nuts would benefit from slight tweaking to allow the peanuts and almonds to shine through. That said, this is a tasty product. 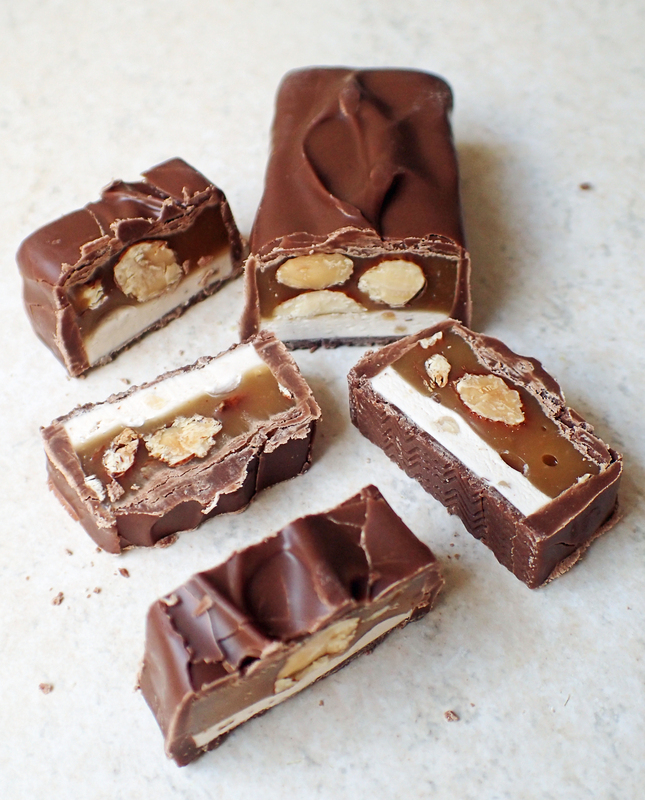 The proportion of nougat and caramel would appear to be the same as with a regular Snickers which not only gives a lovely chewy texture but allows the sweetness of the caramel to counterbalance the dry mouthfeel of the hazelnuts. 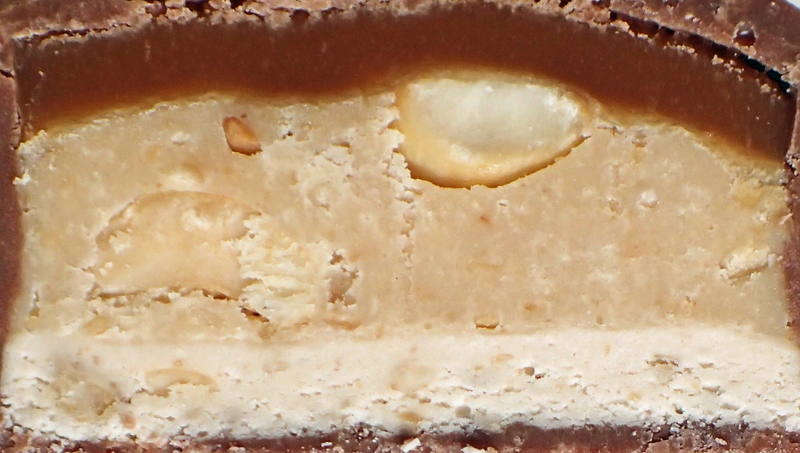 Snickers have occasionally knocked out versions of their popular bar with an extra internal portion of nuts, there have been a number of short-lived promotions with ‘10% more nuts’. The ‘limited edition’ Snickers Mixed Nuts does the same, crams in yet more nuts. Not just peanuts in this case, but hazelnuts and almonds as well. This is one variant I could grow to love. We shall have to gloss over the fact that 26g of this bar is sugars. Nestle, the largest food company in the World, have also produced what I would call their peanutty version of the Snickers via their Butterfinger. I am sure that many would dispute that similarity. I find it interesting how close the packaging is to the Snickers Peanut Butter Squared below. The ‘crispety, crunchety, peanut buttery’ bars are also available as ‘cups’ and bitesize. A very popular sweet, between 2007 and 2010 they were ranked as the eleventh most popular candy bar sold in the United States. Personally I find them overly sweet, too crunchy at first followed by a tooth cloying likeness to chewing gum. Snickers Peanut Butter- There are two squares in these packs, each containing Peanut Butter, peanuts, caramel nougat, milk chocolate. Both squares together provide 250cal. I admit to being pleasantly surprised with the Snickers Peanut Butter squares. Despite there being a woefully small content to the wrapper, calories are good. Taste is too. A little sweeter than a regular Snickers, probably mostly provided by the thin layer of caramel. There is a distinct lack of the roasted peanut taste. However it is in the texture that the difference primarily lies. 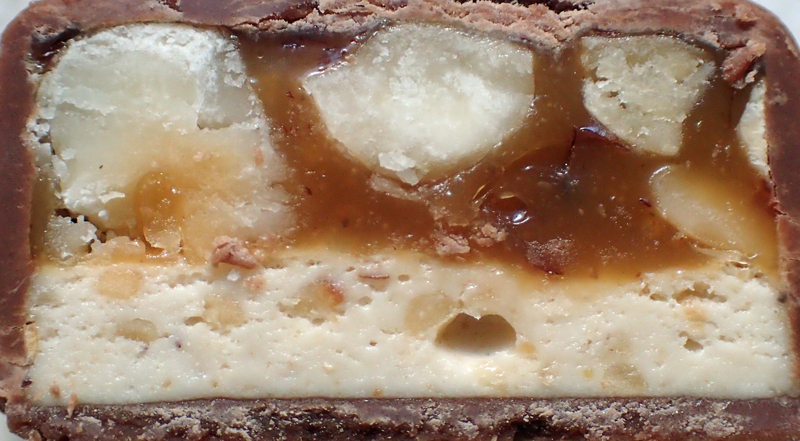 Both layers of caramel and nougat are quite thin top and bottom with a good layer of peanut butter between. The Squares filling is smooth with only a slight and infrequent crunch from the very occasional peanut piece in the smooth peanut butter. The latter definitely lacking in the depth of taste that a jar of decent peanut butter might offer. A good confectionery product, but a Snickers it isn’t. I wonder if the Peanut Butter squares were inspired by the short-lived Snickers Peanut Caramel chews of 2006? 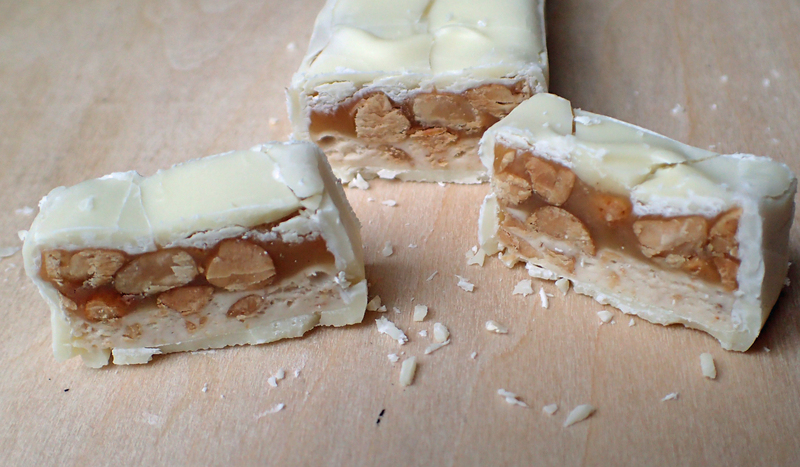 Perhaps not, those had no nougat, whereas these square bars, complete with peanut butter, peanuts, caramel, nougat and covered with milk chocolate, are quite excellent. Incidentally, I certainly prefer the Squares over just about any of the Reece’s Peanut Butter products, which I find tooth enamel stripping sweet. How about the Snickers Dark? I must again admit to a predilection for dark chocolate and welcome this version of Snickers on the few times that I have come across it, (who recalls the Snickers Intense Choc bar a few years ago?). However, I am very much a minority within my family on this, none of them liking dark chocolate at all, so… all the more for me! Other ‘Special Edition’ versions of Snickers are alien to me. What about the ‘Intense Choc’ special edition? Possibly they passed me by or have not been made available in the UK. However, I am very pleased that neither the 2009 Transformers ‘Nougabot’ Snickers, complete with bright yellow nougat (right), or the green stuff that accompanied the Shrek Snickers bar in 2007, are still around to haunt us. Some of these film tie-in products are thankfully short-lived and quickly fade from memory, the product being simply gimmicky and not worth pursuing with. After all- anyone remember the Snickers Adventure Bar? Complete with the addition of spice and coconut flavour, it was released to tie in with the Indiana Jones and the Kingdom of the Crystal Skull film. If I want coconut, I’ll buy a Bounty, just keep it away from my Snickers please. Though I shouldn’t complain too much, after all, the 1929 Snickers included Coconut Oil amongst its ingredients. Researching this blog, I noticed that another Snickers was out there to find- After a dint of searching, I located a small supply, but they took some finding. This is the intriguingly named Snickers Protein. We all know that peanuts provide a decent amount of protein, the Snickers Xtreme gave 5g of protein. With a very obvious intention of capitalising on today’s protein trend, Snickers Protein and Mars Protein bars were released in early 2016. The Snickers Protein bar contains 18g of protein and was advertised as providing just 190kcal. However I find that the bars as purchased have 199kcal. What is shocking is the vast mark-up in price that has been realised. While a regular Snickers bar (containing 9.4g of protein) can be picked up in a supermarket for 60p, (though packs of four can often be found for £1), on release the Snickers Protein was made available at a recommended retail price of £2.19. So, a real bargain there then! Also, about as far removed from the hikers friend, a regular choccy Snickers bar, as you can get. Beside the attempt at marketing these bars as a premium product, a step-above and with supposedly little in common with the sweets of norm, these are as far removed from healthy eating as any other Snickers bar. The most recent variety I have come across is an especially sweet tasting offering. 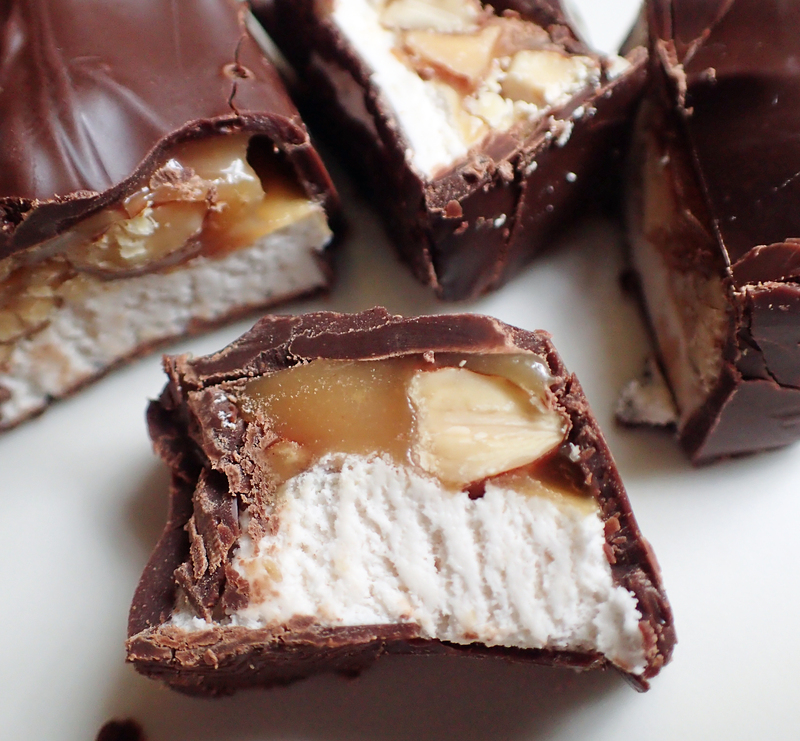 The white chocolate covered Snickers White is uncommonly encountered in the UK and you need to go searching. Time will tell if it becomes more widely available. It is, truth be told, slightly sickly in its intense sweetness. I was reminded of the taste of condensed milk and the savouriness of the peanuts is slightly swamped. I am hopeful that the slightly smaller Snickers Sticks, more commonly found available in Germany and other places, will be made available in the UK. I like the size of these bar. Each weighs 21.5g and provides 107kcal of the normal Snickers loveliness. This is a really handy size and, if priced correctly, would fill a niche in the confectionery market. This entry was posted in Food, Uncategorized and tagged Food, snacks, Snickers on February 11, 2017 by Jools.